The Dogfather is the newest hot dog establishment in San Antonio, Texas, and it’s beginning to draw Godfather fans in from around the state. The restaurant has been opened by the same owners as The Bang Bang Bar, Jamie Hopp and Jenn Alva. The kitchen of The Dogfather will be run by Kris Martinez, who formerly ran San Antonio’s mobile hot dog spot, Rockerdogz. In addition to bringing in some of his own flare and creations, Martinez said that he is planning to constantly keep the options fresh at the new restaurant. With it opening this past Tuesday, The Dogfather replaces Roy’s Taco Hut, which is just down the street from The Bang Bang Bar. The new hot dog location will also be aiming to become a late-night spot for the locals who are out on the town and at the bars, with hours that will extend up until 4 a.m. on the weekends. There will be eight signature menu items that will fall under the category of “The Dogfathers,” ranging from $8-$10 in price. One example is The Elote, which is topped with roasted corn, smoked queso, crumbled Takis, lime salt, mayonnaise, and a fresh lime slice. Another is titled the Wake ‘N Bake, which features a hot dog inside a glazed doughnut bun that is then topped off with a slice of bacon and a fried egg. Patrons will also be able to create their own custom dogs beginning at $5, and they will also offer a carrot dog option for vegetarians. The Dogfather will also feature additional snacks like loaded tater tots and fries, a “burger of the week,” and fried pickles. “The basis for the menu isn’t so much the hot dog itself, it’s more about what else we do with it,” Martinez added. Craft beer and eventually wine are also being added to the available options, so party-goers, foodies, and alcohol connoisseurs will all be able to gather in a fun and relaxing environment. 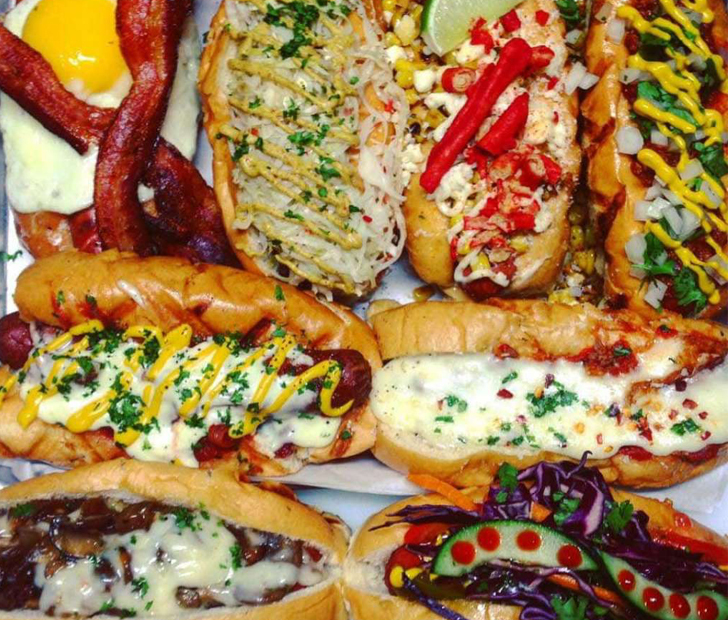 What do you think of the concept behind The Dogfather? Leave your reaction in the COMMENTS, and SHARE this article on FACEBOOK to notify your friends in Texas of this new restaurant!